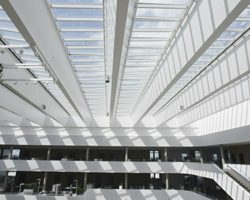 Numerous studies have found that, when natural lighting is introduced into a professional atmosphere, there have been significant improvements in job performance. 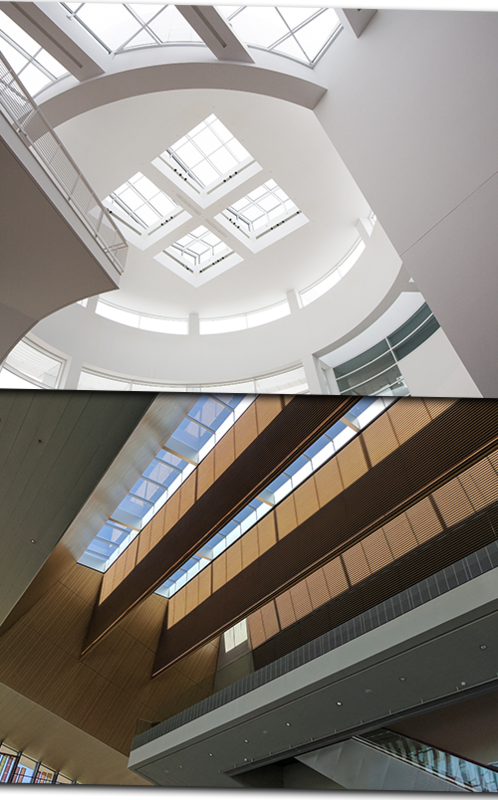 Daylight highlights your architectural details, boosts aesthetic appeal, while enhancing interior spaces and improving color choices. Additional natural light helps to enhance mood, stave off depression, and make things more comfortable for those that suffer from Seasonal Affective Disorder (SAD). 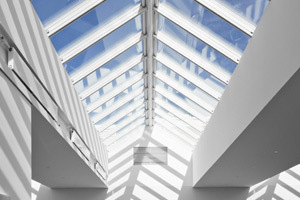 Natural lighting from a skylight window means you’re using less artificial light, saving you money on your electric bill. The heating bill will also go down due to passive solar heating. 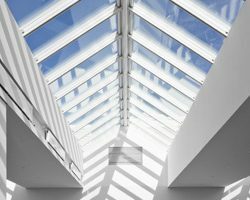 We’re a family-owned and operated company in the Chicago area committed to installing and servicing skylight windows for your business and home, along with offering a wide variety of skylight window choices, accents, and accessories. Our team is efficient, trustworthy, and proud to offer quality service and products at fair and reasonable prices. 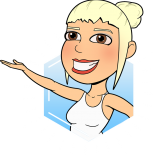 For more information about our skylight windows and solar tubes or to schedule an appointment, contact us online or by phone today. 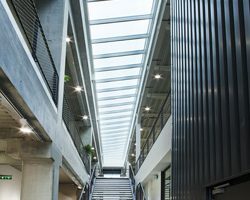 New Commercial Domes, VELUX has introduced a new line of revolutionary Dynamic dome skylight windows and totally redesigned the CMA skylight with a 100% thermally broken frame and an advanced, active condensation management system. 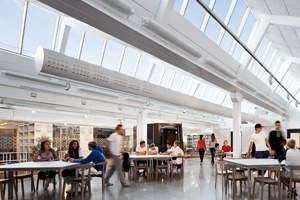 VELUX Commercial Sun Tunnel skylight windows are designed for flat or low slope commercial roofing applications above spaces that will benefit from daylight—reducing energy dependency and improving occupant’s performance and comfort. 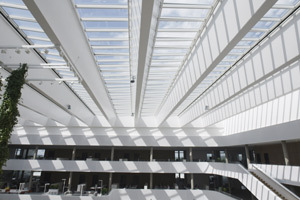 Daylighting—through the roofs of commercial buildings—provides benefits that no other light source can offer. 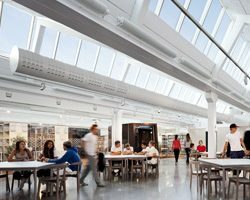 With VELUX commercial products, you can provide optimal light distribution at the building’s core while minimizing glare and enhancing architectural design. 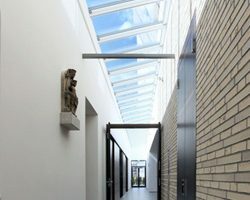 Modular Skylight windows deliver all of the benefits of modularity to rooflights and glazing before, during, and after specification. 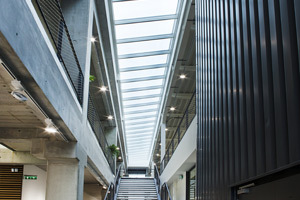 These Modular Skylight windows are 100% prefabricated, allowing complete control in every aspect of production by building the skylight windows in our factory. 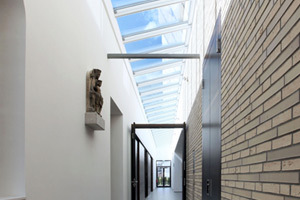 From glass quality to motor power and speed, Modular Skylight Windows are designed to work as a single system from the moment they’re made.